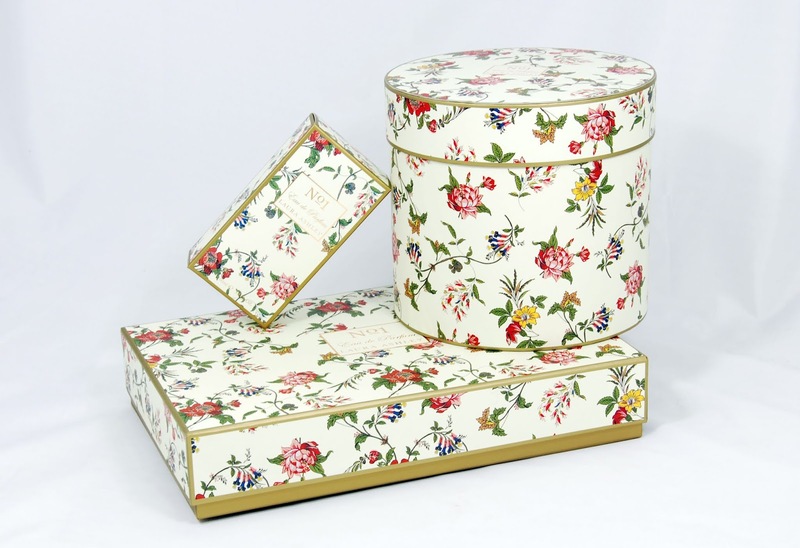 Laura Ashley came to use looking for a set of boxes that follow their iconic style they need a floral theme that's in keeping with other products and packaging. We've created a number of boxes that not only look fantastic but also offers excellent protection for the fragile items inside. Due to the fact that some of these boxes will be housing perfume, we needed to make sure each one had the right structural support and could withstand damage while preserving the contents within. The use of cardboard meant that we'd be able to protect the contents but also create an elegant style that exudes a luxury feel. What's more, it accommodated the shape we'd be going for due to the malleable nature. 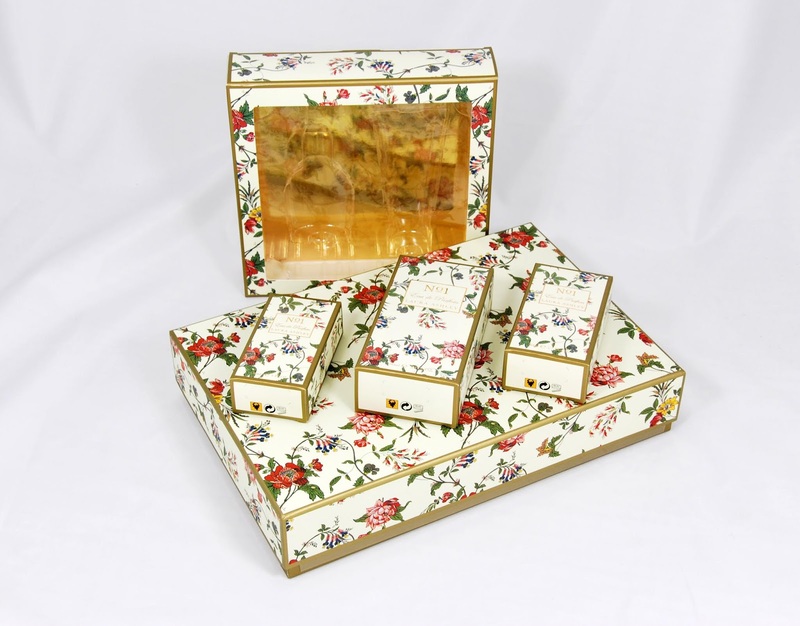 One of these boxes not only needed to house perfume bottles but showcase them too. This meant that we had to design a rigid box that features a window. The problem with this style was that there was limited protection for the perfume inside. The standard workaround is to create a moulded insert to house the bottles. 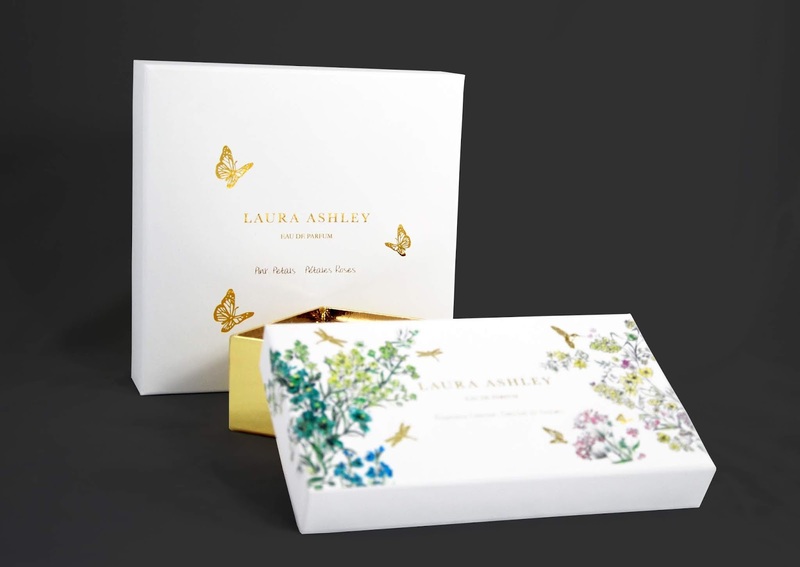 The foil stamping of the Laura Ashley brand name and butterflies brings a depth to the pice that otherwise wouldn't exist. This also breaks up the textures and creates a satisfying balance. 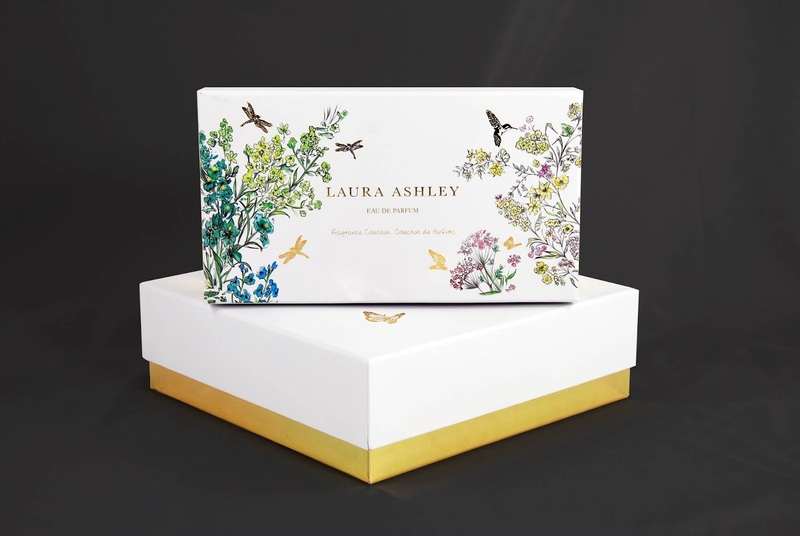 The challenge was adhering to Laura Ashley's floral theme, they have so many products and all of them have packaging to go with them. This made it harder to produce a unique design that hadn't been done before.